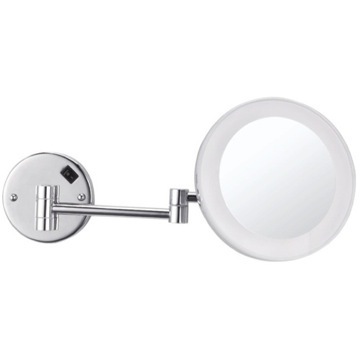 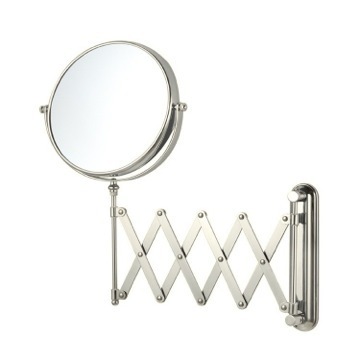 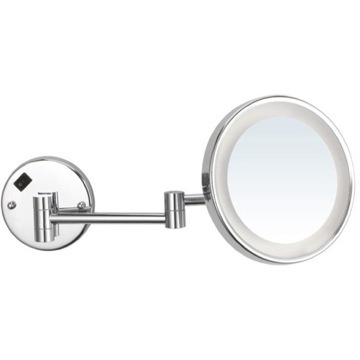 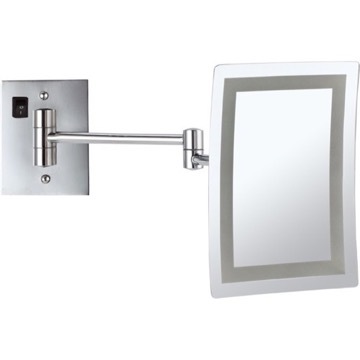 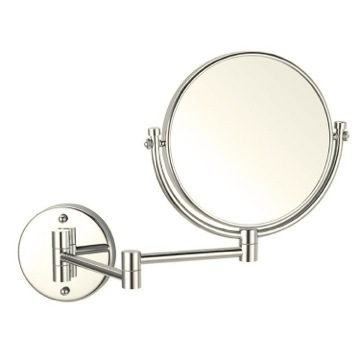 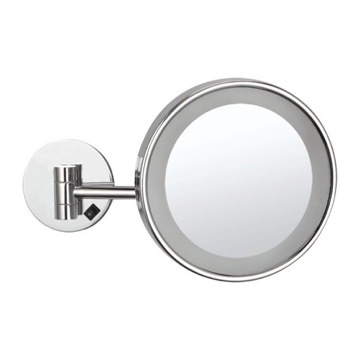 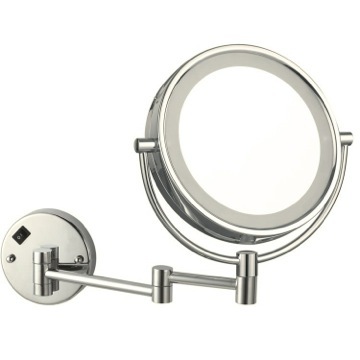 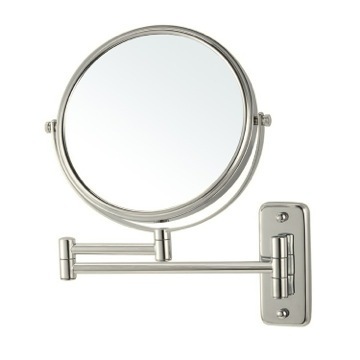 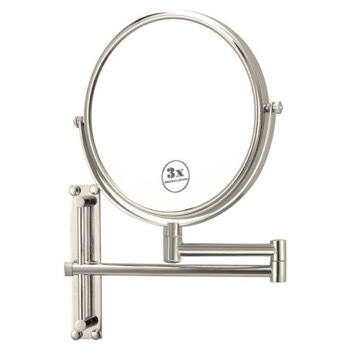 A beautiful satin nickel finish makes this wall mounted mirror a classy addition to any bathroom. 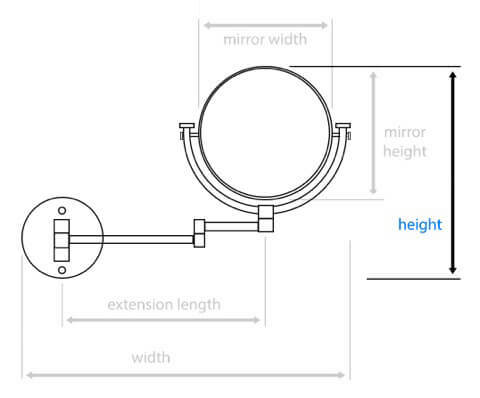 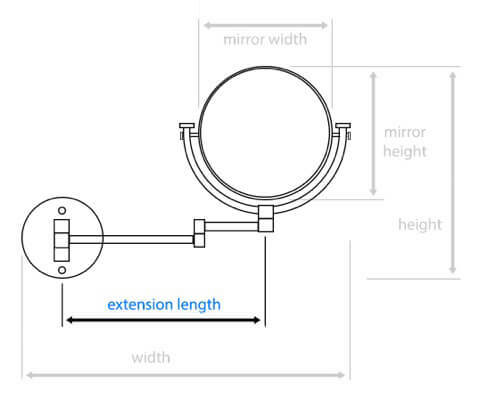 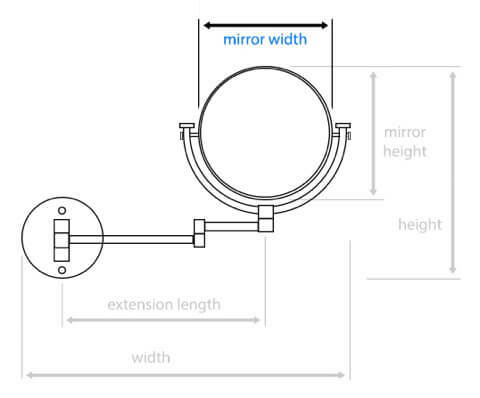 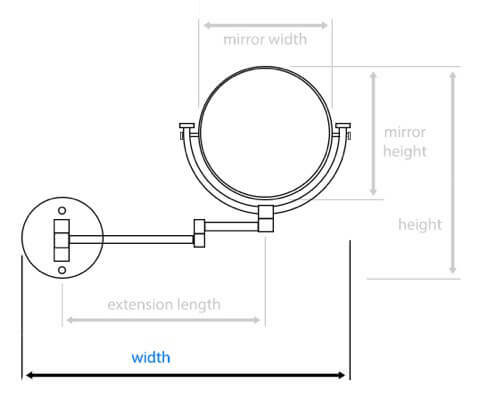 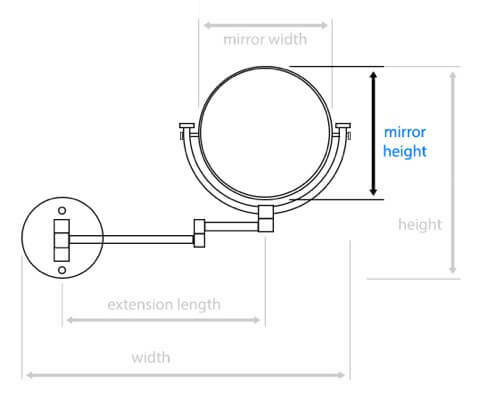 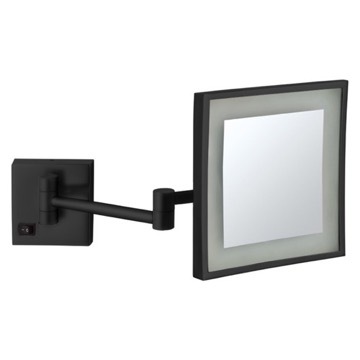 With 3x magnification, built in LED lights, and hardwire installation, this mirror adds style and functionality quickly and easily. 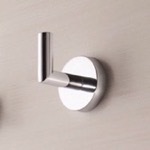 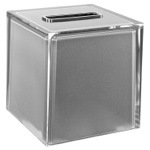 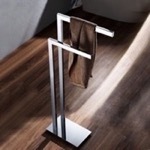 Made of high-quality brass, the base is made of stainless steel with an incorporated on/off switch. 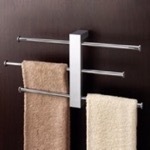 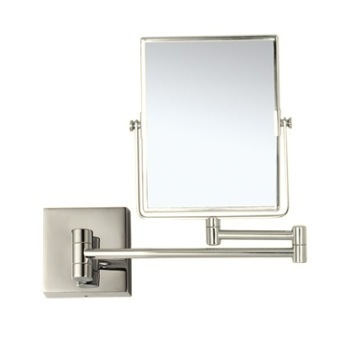 The Italian style and satin nickel finish creates a trendy design. 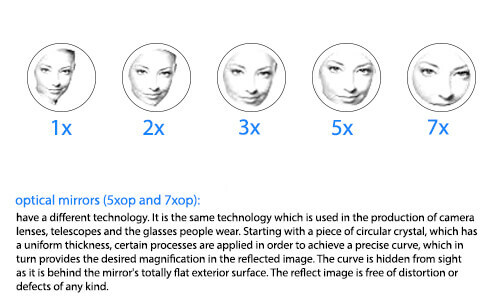 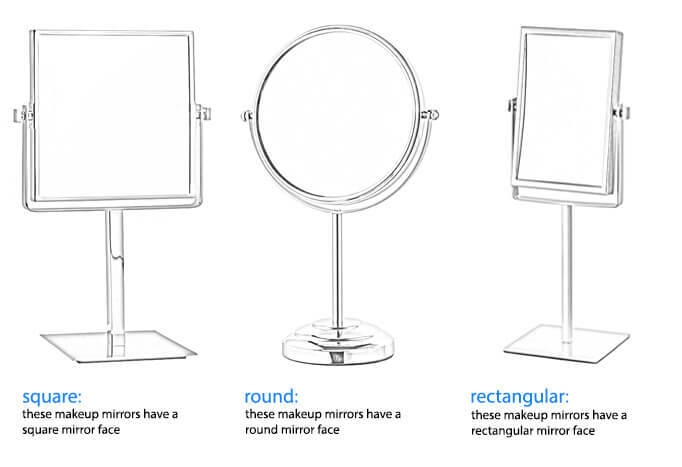 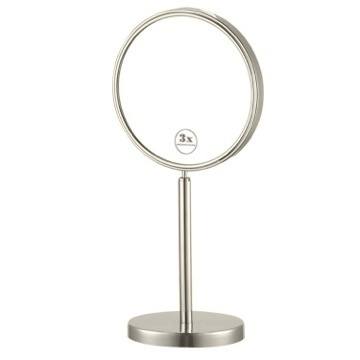 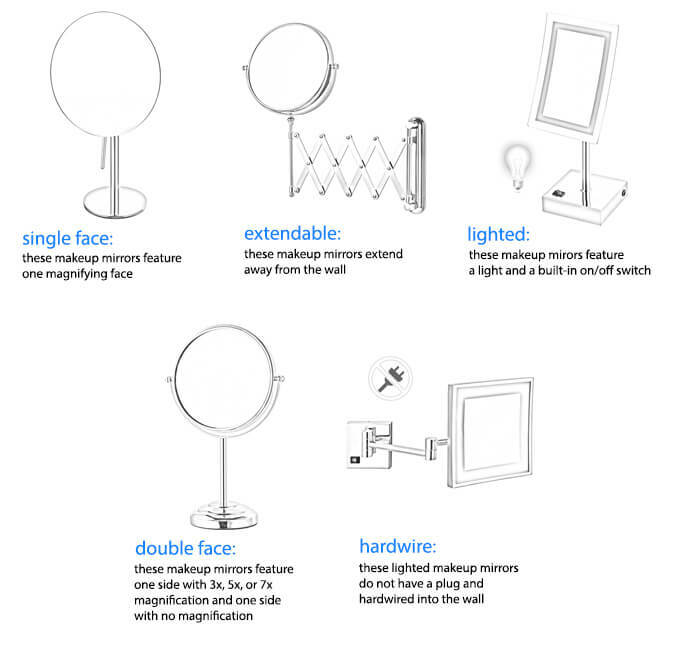 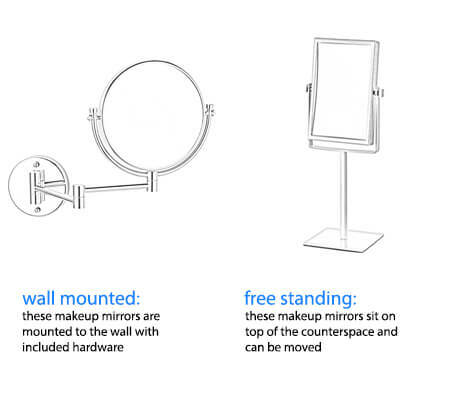 Lighted 3x magnification makeup mirror features built-in LED light. 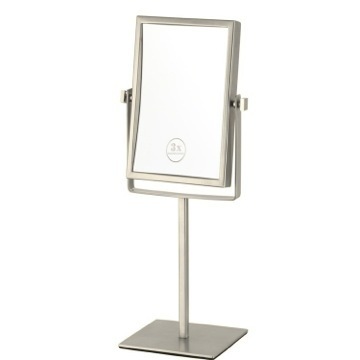 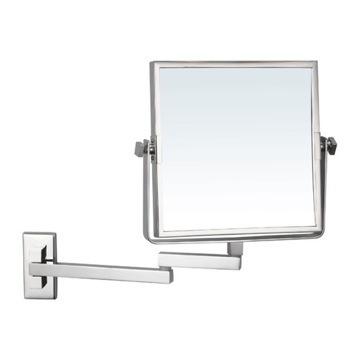 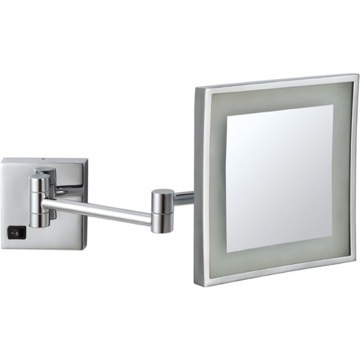 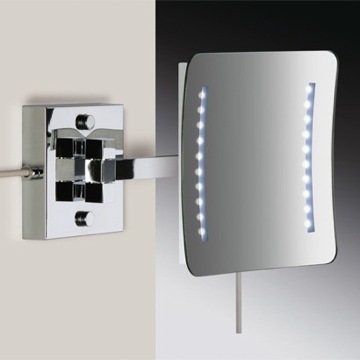 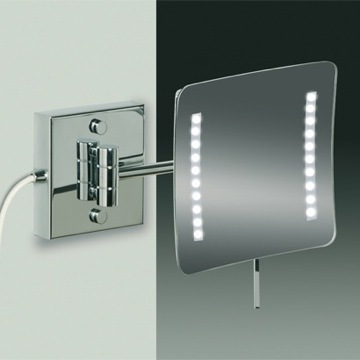 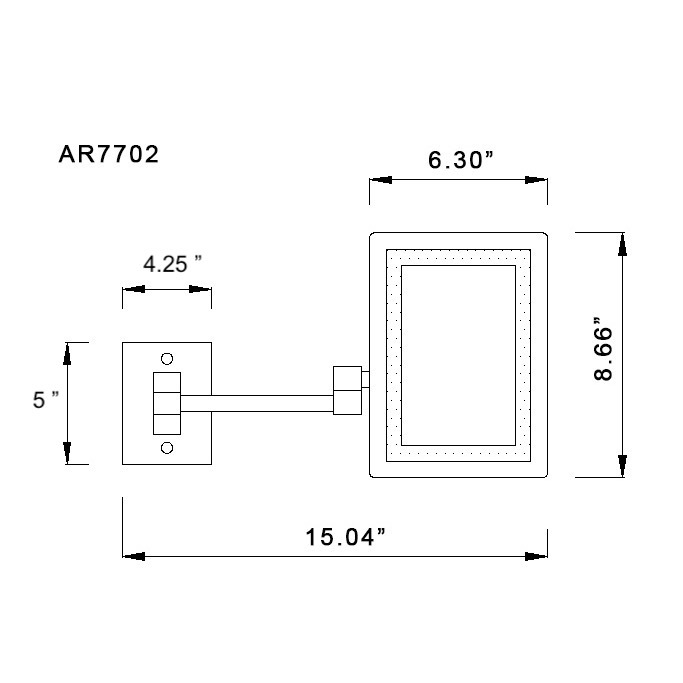 Square wall mounted single face mirror made from brass, and available in a satin nickel finish.